Nowadays, video cameras are increasingly used for surveillance, monitoring, and activity recording. These cameras generate high resolution image and video data at large scale. Processing such large scale video streams to extract useful information with time constraints is challenging. Traditional methods do not offer scalability to process large scale data. In this paper, we propose and evaluate cloud services for high resolution video streams in order to perform line detection using Canny edge detection followed by Hough transform. These algorithms are often used as preprocessing steps for various high level tasks including object, anomaly, and activity recognition. We implement and evaluate both Canny edge detector and Hough transform algorithms in Hadoop and Spark. Our experimental evaluation using Spark shows an excellent scalability and performance compared to Hadoop and standalone implementations for both Canny edge detection and Hough transform. We obtained a speedup of 10.8\(\times\) and 9.3\(\times\) for Canny edge detection and Hough transform respectively using Spark. 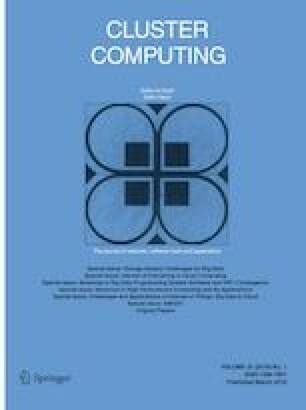 These results demonstrate the effectiveness of parallel implementation of computer vision algorithms to achieve good scalability for real-world applications. This work was made possible by NPRP Grant # 7-481-1-088 from the Qatar National Research Fund (a member of Qatar Foundation). The statements made herein are solely the responsibility of the authors.